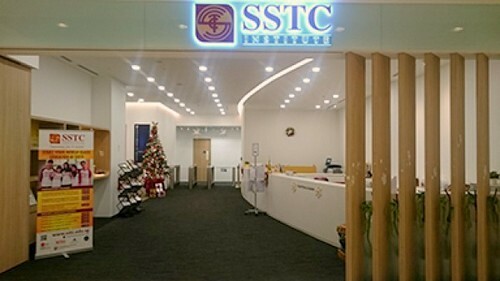 Educational centre SSTC Institute operates within Singapore’s City Square Mall, at 180 Kitchener Road. Established in 1978, SSTC Institute is a premium private education institution that is committed to quality education and academic excellence, showcased by the company being awarded the 4-year EduTrust Certification by the Committee for Private Education (CPE) of the Ministry of Education, Singapore. The classes are organized by a academic faculty team of qualified and dedicated team of full-time and part-time lecturers, who are always ready to impart their insights and experiences. Furthermore, Academic and Examination Board ensures that the quality and standards of SSTC’s academic processes are maintained. SSTC Institute offers a range of Preparatory, English language, Business, Tourism & Hospitality, and other Higher Learning programmes that are a pathway to degrees with partner universities in UK and USA. The campus at City Square mall features 18 modern classrooms, each equipped with up-to-date facilities, furnishings and fittings, providing a highly conducive environment for an enriching learning experience. SSTC Institution City Square Mall campus also has fully equipped science laboratory for physics and chemistry, a computer lab, auditorium, a student lounge, and a resource library. The City Campus at City Square Mall has a direct underground connection to Farrer Park MRT Station (NE8), which makes the place very convenient for all students to travel to their place of study from most parts of Singapore. The official Facebook brand page for SSTC Institute is located at www.facebook.com/sstcpage. Following the Facebook page, you’ll learn more about SSTC Institute’s classes, events, and much more.